Follow these steps to set up your Inigo Digital Business Card account. You can download Inigo by going to your platforms app store and searching for Inigo. Please click for the iPhone and Android apps. You may log in using social media accounts or email. Using social media authorization is quick and secure, just choose your preferred platform in the menu and log in with the corresponding password. If you choose to use email, you will be asked to input your email address. After that, you will receive an email that will contain a link. Click the link and your account will open in the Inigo App. 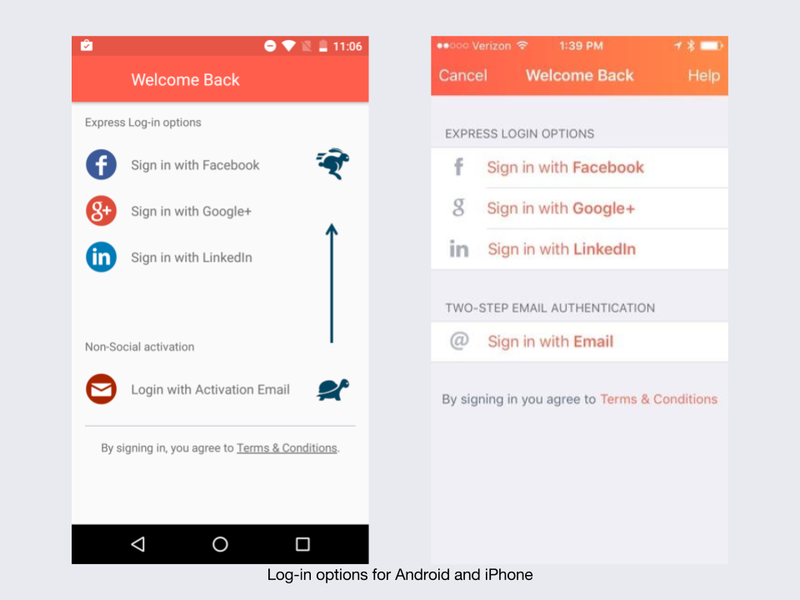 After either of these steps, you will no longer require login steps unless you choose to log out. Inigo does not require passwords to access the app, and so you will not be required to use one to login unless you sign out. To sign back in, you must use the method that you first used to create your account if you want to have access to your cards.